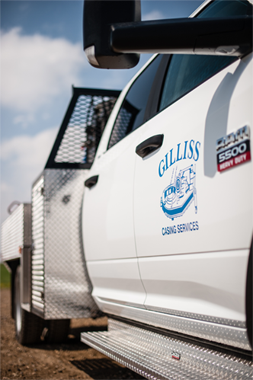 Our Services | Gilliss Casing Services Inc.
As with any service company, Gilliss Casing Services relies heavily on our equipment, in addition to our personnel, to ensure our success when it comes to performing in the oil and gas industry. Our maintenance program and aggressive equipment replacement program allow us to offer our customers quality equipment of any size needed to complete the job. With more new equipment than any casing service company in Southeast Saskatchewan, we are confident that we have reduced the possibility of lost time due to equipment failure. Computer Torque Monitoring on all sizes, weights and grades. Copyright © 2019 Gilliss Casing Services Inc. All rights reserved.